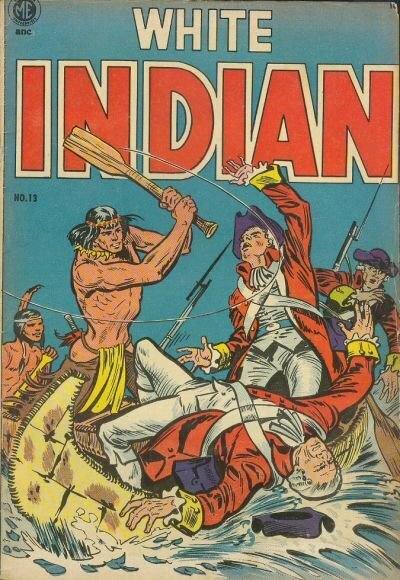 Click Here To See White Indian #13 Comic Book! Check out this STUNNING GOLDEN AGE 1954 LARGE ART White Indian page which was penciled AND INKED by the great Frank Frazetta, from the story titled: "The Trail of the Traitor!" This nice page features INCREDIBLY DETAILED images of White Indian and Tipi as they are captured by the traitor Si Bannis! This page must be seen to be appreciated and the scan does NOT do this 58 year old GEM justice! I've seen small Frazetta prelim pencil drawings sell for more than what just one of these panels should be worth! ALL HIGH end pieces of art, including this one, are able to be purchased with VERY fair time payment plan options, and trades are always considered towards this and any other pieces of art on my site here! Just send me an email and we can try to work something out.